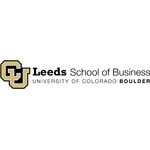 "As a recognized provider of finance education for the state of Colorado, the Leeds School of Business must keep pace with the growing demand for CFP®s, and we see this program as creating a competitive advantage for the school"
DENVER--(BUSINESS WIRE)--Charles Schwab & Co., Inc. has entered into a five-year commitment with the Leeds School of Business at the University of Colorado Boulder to develop and invest in a Certified Financial Planner™ (CFP®) program, aimed at readying undergraduate students for careers in financial planning and wealth management. A generous charitable investment will fund scholarships, as well as the creation and enhancement of extensive coursework and exam preparation required by undergraduate students who wish to launch a career providing financial planning and advice. This collaboration will fill a need for CFP Board Registered Programs in the region, as industry growth outpaces workforce growth and a significant generation gap faces the industry. The average age of a financial planner today is 51, according to data produced by research firm Cerulli Associates1, and CFP®s are listed as number five on the 2015 Best Business Jobs by U.S. News & World Report2. The CFP® and Certified Financial Planner™ marks are certification marks owned by the Certified Financial Planner Board of Standards, Inc., and are awarded to individuals who successfully complete the CFP Board’s initial and ongoing certification requirements. This certification enables career paths for finance graduates into budget and financial analysis, financial management, real estate broker, insurance sales and underwriting, and securities, commodities and financial services sales. 1 Cerulli Associates, “Advisor Metrics 2013: Understanding and Addressing a More Sophisticated Population”, January 2014. The Leeds School of Business has a proud history. Formed in 1906 as part of the University of Colorado, Leeds is proud to be the eighth oldest business school in the United States. Through a culture centered on integrity and excellence, Leeds is devoted to producing innovative, principled business leaders who are equipped to drive value, graduates who possess the analytical abilities and skills needed to succeed in a globally competitive marketplace, and students who are nurtured in academic programs by top-tier faculty and staff. Today, the school enrolls more than 3,300 undergraduate and graduate students in degree programs that include accounting, finance, marketing, and management and entrepreneurship. Learn more about the Leeds School of Business by visiting www.colorado.edu/leeds.